It had been planned to be a lavish celebration on the Pnyx hill next to the Acropolis in Athens, a place where the citizenry would hold popular assemblies in the ancient democratic period. 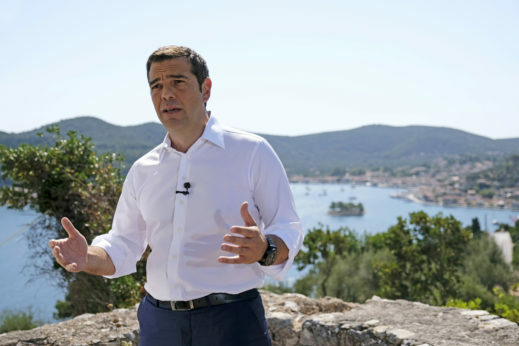 The angry aftermath of the forest fires last month put paid to Greek Prime Minister Alexis Tsipras hosting EU and other luminaries in such a way to mark the formal end of the country’s subordination to the austerity memorandums. Instead, he made a more low key broadcast to the nation from the island of Ithaka on Monday. He proclaimed, in an overly extended image, that Greece had ended its painful Odyssey of eight years of crisis, against the backdrop of the harbor to which Odysseus is held to have returned after a decade of tortuous voyage. Few in Greece were taken in by the theatrics and self-identification of Tsipras as Homeric hero. Some recalled a previous Greek prime minister declaring a new dawn for the country from a remote island. It was at the onset of the crushing austerity period in 2010 that the social democratic PASOK party’s Prime Minister George Papandreou said pretty much that from the island of Kastelorizo off the Turkish coast. He informed the country that he was going to sign up to the first memorandum with the troika of the European Union, European Central Bank and International Monetary Fund. “Despite the cheap communications tricks in sheltered harbors, the truth cannot be concealed,” quipped a sharp-witted politician of the left. His name was Alexis Tsipras. Eight years on and the truth cannot, indeed, be hidden. The imposition of neoliberal solutions on Greece has been a catastrophe. The economy has shrunk by about a quarter and average living standards by a third. The resulting social dislocation and suffering is enormous. Several business commentators have hailed a slight fall in overall unemployment figures to possibly under 20 percent (youth unemployment is double that). But few point out that one in 10 of the working age population of Greece has left the country in the crisis years. That is the principal reason why the figures are not higher still. Those who have left show no indication of returning to the country. A basic measure of civilization, the capacity to provide for the wellbeing of a stable or expanding population, has not been met. The enforced economic exile of a tenth of the population is not “free movement.” It is the involuntary sacrifice of people to the dictates of corporate capitalism. 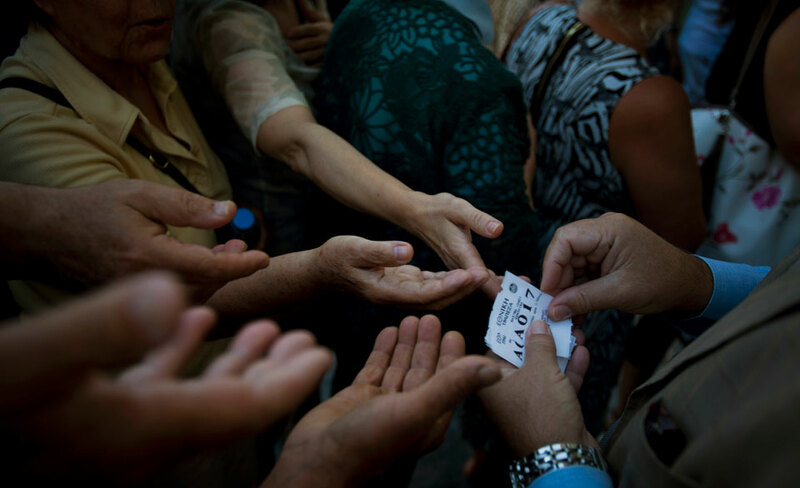 For the bailouts had nothing to do with alleviating the economic condition of the mass of Greek people. They were to save the zombie European banking system. The first was to rescue the mainly French and German banks exposed to defaulting Greek debt. The second bailed out the private Greek banks. The third, the one Tsipras signed up to, aimed ruthlessly at driving through the privatizations, welfare cuts, assaults on workers’ rights, and “modernization” of the economy that the first two pledged but had not accomplished. All of this was driven by the troika imposing—with willing cooperation from the Greek elites and their old political parties—an economic dogma whose predictions of a return to growth were refuted year after year. It also meant a severe truncation of democracy and of national sovereignty. One EU official after another bluntly stated that to stay in the bloc and the single currency meant that democratic expressions of the mass of people—elections and referendums—had to be put aside. Tsipras averred to this in his Homeric address on Monday as he took aim at his predecessors from 2009 to 2015 for sinking the country. He criticized a system in which “bankers become politicians and politicians become bankers.” It was a thinly veiled reference to the ECB banker Lucas Papademos, who became an unelected prime minister in 2011, and to the former finance minister Yannis Stournaras, who became governor of the Greek central bank—in reality a branch office of the ECB—in 2014. The conservatives of the New Democracy opposition party and the business press squealed that a Greek prime minister was taking political pot shots—which otherwise has never happened, of course. With elections due within the next year, they would like everyone to forget their responsibility both for the imposition of the memorandums and for the oligarchic model of capitalism that preceded it. But Tsirpas’s point begged the question. If that was the old capitalist cronyism linking Greece’s political class, its 1 percent and the mafia dons of the European capitalist institutions, then why on Earth did he, in his first acts in government, pledge confidence in the governor of the central bank, assure the military of continued arms spending and an expansionist foreign policy, and commit to staying in the euro straitjacket come what may? Here, light-minded explanations based upon personal failure or a narrative of betrayal will not do. For anyone serious about breaking from this failing phase of capitalism, the Greek experience raises some fundamental questions of strategy for the working class movements and the left. Its strategy for escaping the murderous austerity memorandums was to rest on two things. First, obtaining a majority position in parliament. Second, to deploy rigorously developed economic arguments with the EU and creditors as to why the austerity had to be lifted. The problem was twofold. As attested by various participants, including former Syriza Finance Minister Yanis Varoufakis in his memoir, a majority in parliament did not mean control of the levers of the state. That was especially so, as for two years before coming to office Syriza had gone out of its way to reassure those permanent state mechanisms that it would not be disrupting their power and the continuity of capitalist interests it was exercised for. The mantra was “we are a government in waiting.” So from senior police officers to the central bank and the permanent bureaucracy of the finance ministry, the government was undermined from day one. The second was a naïve faith in the power of a logical argument against those bound by a thousand golden threads to refusing to accept it. 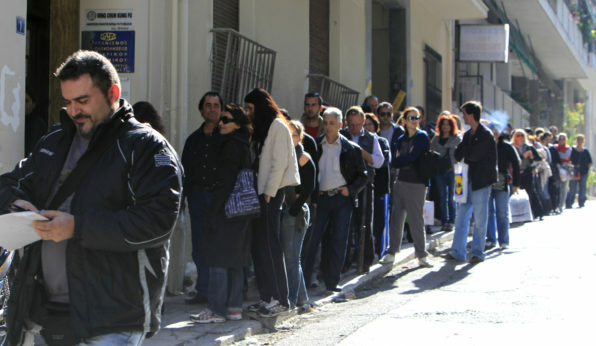 Everyone could see that austerity and the economics behind it were not delivering the promised recovery in Greece. At the same time the European elites and their politicians could not admit the truth. If Greek debt was unsustainable, then so was that of Spain, Italy, and elsewhere. If, seven years into the crisis, it had to be admitted that the emperor had no clothes in Greece, then it meant telling people from Indiana to Ireland, Britain to Bulgaria that their suffering in the crisis years had been for naught also. A seemingly modest shift to a more rational organization of the economy entailed the most profound political risk. So they didn’t do it. Greece is out of the formal memorandum period but is still constrained by quarterly inspections to make sure the failed god of neoliberal capitalism is being propitiated. Throughout all of this, the working class movement in Greece has managed to sustain opposition, despite demoralization, ebbs, and flows. That, and the intervention of that part of the left who took seriously this strategic dilemma, has meant that predictions of a massive fascist resurgence out of the failure of Syriza in office have not been realized. It’s going to require more of the kinds of things that are being posed elsewhere in Europe and in Britain. Popular and militant opposition to austerity. A much more serious strategy for radical change than just positing a government in waiting. And a popular anti-racist movement whose horizons go beyond some conventional politics of occupying a ministerial position. Kevin Ovenden is a longstanding socialist activist and writer in Britain who has closely followed politics, society and culture for over twenty-five years. He writes particularly on racism, the politics of the Middle East and the crisis of the Eurozone. 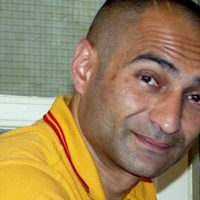 He is a national officer of both the Stop the War Coalition and of Unite Against Fascism. He led five blockade-busting aid convoys to Gaza and is on the executive committee of the International Campaign to Return to Palestine.